One of the hottest segments of the revitalized auto industry is that of the compact crossover SUV. Although rising fuel prices and the resulting fixation on vehicles getting maximum fuel economy has changed what consumers are buying somewhat, that doesn’t mean they’re giving up car-like SUVs. They’re just moving to smaller versions of these all-purpose ‘utes. Kelley Blue Book, KBB, noting this market shift trend, took a look at five of the current crop of small crossovers at the more affordable end of the spectrum. KBB editors put the five through the usual round of tests, paying special attention to driving characteristics, comfort, cargo space, appearance, quality, connectivity and, of course, price. Note that three of the five are all-new for either 2012 or 2013, while two 2012 models have been in their current version for a few years, albeit with a few enhancements to keep them fresh. 2012 Honda CR-V EX-L Nav – Leading the pack, the all-new for 2012 Honda CR-V (EX-L Nav), is the hands-down winner in KBB testing of the compact crossovers. Cargo capacity is substantial at 71 cubic feet with the rear seats folded, 37 cubic feet with them up. The five-passenger CR-V has plenty of room, along with numerous storage areas in the form of nooks and crannies, a Honda strong suit. 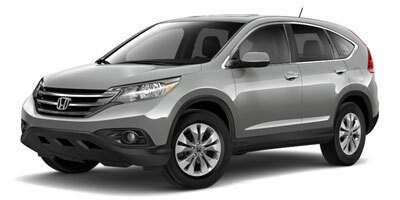 The CR-V boasts a five-star overall safety rating from the National Highway Traffic Safety Administration (NHTSA). Other standout features include the quality of materials, logical controls, excellent forward visibility and supportive front bucket seats. Priced at $29,575, the test vehicle had all the bells and whistles, including leather, voice recognition navigation system, rear view camera, power moonroof, DVD entertainment system, Bluetooth connectivity and more. three engine choices (two are turbocharged), and can tow up to 3,500 pounds when properly equipped. The cabin is attractive, with sporty front seats. Cargo capacity is 34 cubic feet behind front seats and 68 cubic feet with rear seats folded down. 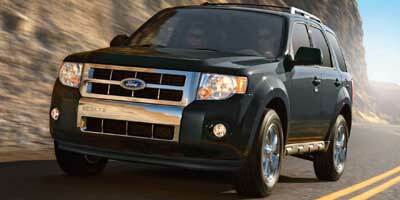 The Escape has seven airbags and Blind Spot Information System. 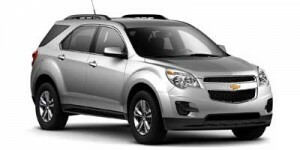 With options, the tested crossover priced out at $29,345. 2013 Mazda CX-5 Grand Touring – Mazda introduced the 2013 CX-5 earlier this year with much fanfare. Key to this is the holistic total vehicle approach, and the results clearly show Mazda made the right choices. One of the lightest vehicles in the class, the four-cylinder CX-5 in all-wheel drive configuration gets an EPA-rated 25 mpg city/31 mpg highway (best-in-class). High quality interior and fit and finish, numerous safety features, responsive handling are other standouts. In Grand Touring trim, the CX-5 is outfitted to the max. Price as tested was $29,455. V-6 engine. Fuel economy for the front-wheel drive Equinox LTZ was also the lowest of the group at 17 mpg city/24 mpg highway. The standard four-cylinder engine does better, rated at 22/32 mpg (FWD) and 20/29 mpg (AWD). Smooth and responsive ride quality, good visibility, and roomy interior are other pluses, although the cargo area suffers a bit to provide passenger room. The LTZ trim means the Equinox is well equipped, and the test model added some $3,220 in options (including the V-6 engine, lane departure warning/forward collision alert system, and more) for an out-the-door price of $33,250.